A striking woman’s eyewear capsule collection born from the collaboration between fashion brand Redemption Choppers and glasses designer Alessandro Martire of JPLUS. Inspired by the roaring world of two wheels, Redemption Choppers offers – along with unique handcrafted motorcycles a luxurious women’s clothing line entirely Made in Italy. 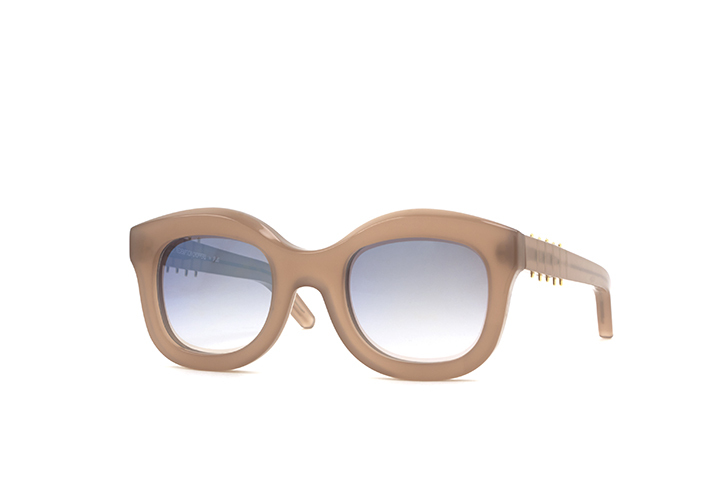 The eyewear collection introduces three sunglasses styles: all playing with shiny acetate and distinctive metal inserts. The RC 003OC03 is a metal-rimmed round glasses with a characteristic signature touch of acetate on the bottom of the left lens. 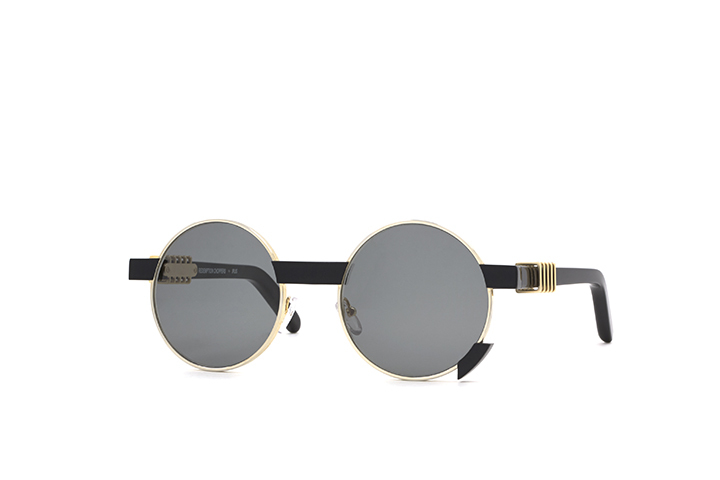 The glossy acetate arms display squared metal – either steel or gold – details for an elegant yet strong look. 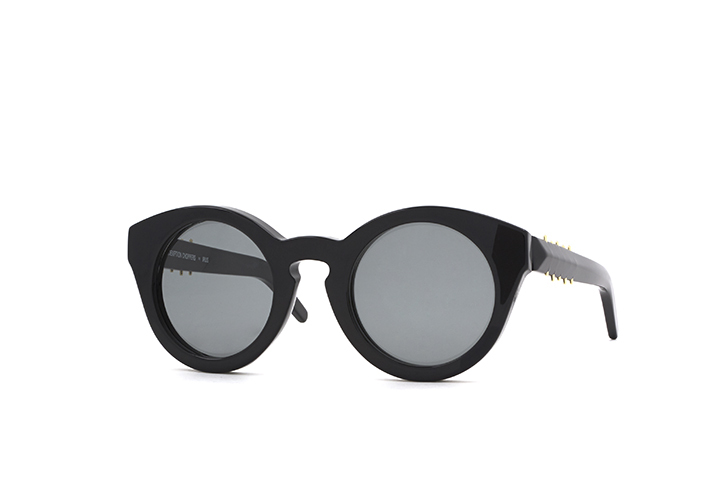 The other two models are both full acetate rimed frames with metal detailing on the temples. The acetate is hand polished to add a higher luster to the surface. The temples of RC 003OC02 show a bold needle-inspired stripe that evokes tailor stitches while RC 003OC01 displays a tiny series of metal dots of great visual effect. Available in different colored rims and lenses, these exclusive frames embody the innovative and edgy spirit of the Redemption Choppers brand.